The villa is amazing. It embraces stunning views every morning and night. Lovely spacious rooms and bathrooms. The pool is beautiful too. Chefs are very polite, kind and helpful. They were very accomodating and efficient. Upon request, they made delicious food and were able to accomodate to cooking vegetarian thai dishes too. This place is definitely a perfect getaway for a family of 10-12 people to relax and rejuvenate. We enjoyed our time here and will definitely look forward to this again. Very good that there has a nice SPA ( SO THAI SPA ) next to the Villa, and has a nice restaurant with sea view which very close to the Villa we just need to walking 3-5 mins. This Villa has total 5 bedrooms, as we just has 4 couples, therefore we just needed 4 bedrooms, awesome that these 4 bedrooms also with good view which we can well sleeping and relaxing in rooms. I5 minutes can be arrived BIG C and night market by taxi, the host will daily help us arrange car to in & out. Especially appreciate the host who's very nice and recommended some good places for us. An excellent Villa I will highly recommend to you. Excellent service, amazing villa, awesome maid service and chef. Went for a bucks party so having a good time and playing music was no issue(to a certain time obviously). Service was excellent. The helpers were great - the villa was always cleaned with fresh towels. We were a bunch of 9 guys and we did make a slight mess every night but the helpers ensured the house was squeaky clean in the morning before we woke up. They cook pretty well also. Location of the villa cannot get any better than this. The swimming pool is facing the whole of patong beach and the view is excellent especially at night. A special mention to Joyce - the villa manager. She was very responsive from the time we booked the villa. She even recommended and booked dinner for us at a wonderful local thai restaurant. Her customer service was excellent and she always found a solution for everything. Thank you to the whole baan paradise team for making our stay a very memorable one. 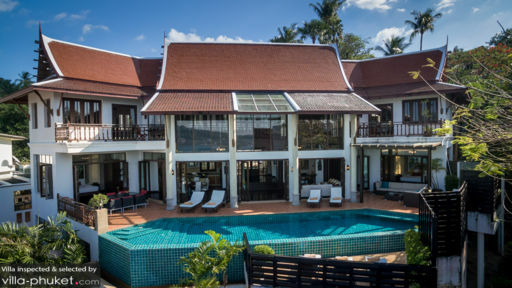 To those reading this review.. i have stayed at a few villas in phuket. 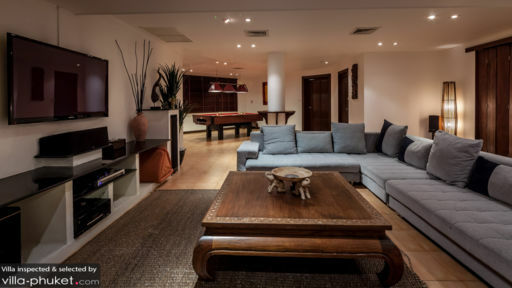 But this by far beats every other villa by a mile. 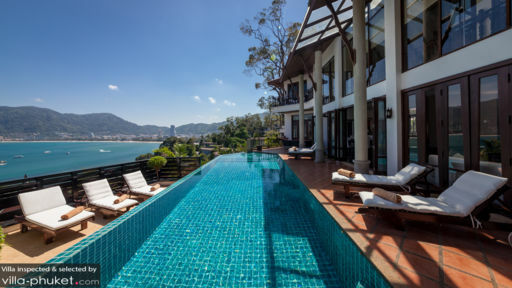 If you are looking for a villa in patong, dont look further cause this is the best villa in patong area. We didn't arrive at Baan Paradise until after 10pm so we were all very exsused, all the staff were there to greet us with a lovely cold towel and drink. (I had also arranged some hot nibbles for us on our arrival). Joyce showed us around the house which it so beautiful and large. The view is to die for as is the staff, nothing is ever a problem they can arrange just about anything you want. Noy & Pat are fantastic at their jobs and cooked breakfast so yummy and so much food. We also arranged to have some meals cooked while we were there and not only is there so much but the flavours are the best I have ever had. We only needed to give two hours’ notice off the menu which they provide and they would go to the markets and purchase the food, that is how fresh it was. We also got Joyce to arrange, White water rafting & Elephant rides, shows, massages & a day out snorkelling & nothing was a hassle at all, Joyce was also very helpful at suggesting other things we should visit. We also got Joyce to arranged for a driver to take us to all the sights and he was wonderful (very sad that we never asked his name) he took us to the fish markets for lunch (the best) the Big Buddha and lots more, great day and great price. It was only about $10 Took Took ride to Patong Beach which was good if you are just going to the beach or Banglar Rd (interesting, but worth a look) It is only about a 10 minute ride. I really enjoyed our family holiday to Phuket and recommend that you jump on a plane and get over to Baan Paradise, because it is paradise. We stayed here for 6 nights, 7 adults and 3 children ( 13,7, and 3). It looks just as it does in the photos. The view was amazing, I wasn't sure if I was in Phuket or monte Carlo! The bedrooms are huge and very comfortable. The kids and the adults enjoyed the pool and the snooker table table. It is high on the hill, but you can walk down to Patong in 15-20 minutes. Walking up the hill is for fitness fanatics only! A tuk tuk is only 300 baht up or down the hill (10 AUD). We were well looked after by Joyce , the manager and the 2 house staff, pat and Noy. They did a great breakfast. We had dinner there 3 nights and in town three nights. They are very good Thai cooks. If you have fussy eaters or kids their western skills were good enough for nuggets and fries and fish fingers etc, but I truly recommend the Thai food. We had 3 dinners and three lunches there and the total cost per person was about $25 for the entire stay!. Joyce organized all our tours, which included a trip to Phuket water park, mini golf, go,karting, and a great day trip with our own private speedboat and driver out to phi phi. I thoroughly recommend you stay here!